The source says that despite the devastating effects of torture, Houtan Kian continues to do his job as a human rights lawyer from inside the prison. Since his imprisonment Mr. Kian has reportedly written statements and letters in defense of some prisoners and helped save a few from death row. “When we were held in the same ward I remember that every night approximately 30 prisoners would form a line outside our ward hoping Houtan Kian would work on their case. He is very popular among the prisoners, but prison authorities despise him for taking on Sakineh’s case because her case received too much international attention and thus shamed the regime,” the source says. In summer 2010 Sakineh Mohammadi Ashtiani became one of the most internationally defended names when news surfaced that she was in imminent danger of stoning for an adultery charge. On the other hand, Houtan Kian may arguably be the most forgotten imprisoned Iranian lawyer. Following a widespread global campaign to save her life Islamic Republic authorities suspended Ms. Mohammadi Ashtiani’s stoning sentence, though she is still in danger of death through hanging for a murder charge. Houtan Kian and his client are both held in Tabriz Prison, a remote detention centre where information regarding prisoners is difficult to get out. Mr. Kian’s former cell mate tells JFI that the Iranian lawyer was recently transferred from the methadone ward—a place reserved for prisoners faced with drug-related charges– to a different ward. Houtan Kian worked as a lawyer mainly on a pro bono basis and usually took on cases that were political or contained heavy sentences such as stoning or executions. 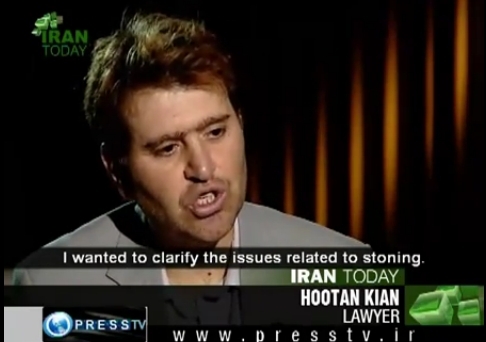 According to a VOA interview, Mr. Kian has taken on more than 170 cases in Iran related to execution or stoning. In July 2010, the Islamic Republic Judiciary had appointed Mr. Kian the defense lawyer for Sakineh Mohammadi Ashtiani until he was arrested a few months later. Prior to his arrest Mr. Kian had given a number of interviews to foreign media regarding Ms. Mohammadi Ashtiani’s case. In the same VOA interview, Mr. Kian described the lack of a fair trial and due process in his client’s case and also reacted to the fact that her confessions were aired on satellite television. Houtan Kian along with Sajjad Ghaderzadeh, the son of Sakineh Mohammad Ashtiani and two German journalists were arrested at his office in Tabriz on October 10, 2010 while in the middle of a media interview. The day after his arrest Houtan Kian was transferred to ward 209 of Tehran’s Evin Prison where he says he was subjected to the severest forms of torture. On December 12, 2010 he was transferred back to Tabriz and temporarily held in a detention centre operated by the Ministry of Intelligence. Following his first court hearing Mr. Kian was transferred to Tabriz Central Prison. He was first held in a ward reserved for political prisoners and prisoners convicted of financial crimes but later Mr. Naghizadeh, the head of Tabriz Prison transferred him to the methadone ward. Most prisoners in the methadone ward are detained on drug-related charges. In a letter Houtan Kian wrote from prison in 2011, he says he has made attempts to reach out to judicial officials but they have been unresponsive. Mr. Kian adds that Islamic Republic authorities have deprived him of his right to see his family, including his young daughter. Two days prior to his transfer out from Evin Prison’s ward 209 Press TV had aired a propagandized program which aimed to validate that in addition to adultery Ms. Mohammadi Ashtiani was also guilty of murder. The program aired an interview with Houtan Kian, who in his letter from prison states that he gave the interview to end the torture he was subjected to. According to Mr. Kian he had been burned with cigarettes on his testicles, legs, and feet; soaked with water and left for hours in the cold; and had his teeth broken. Additionally, Mr. Kian says that Islamic Republic authorities had lied and told him the taped interview would not be aired anywhere and will only remain in the archive of the Ministry of Intelligence. They also told him that if he cooperated with the interview that he would be released from prison. The Press TV program did not clarify that Mr. Kian is a prisoner and instead made it seem like the interview was being conducted under normal circumstances. Justice for Iran calls for the immediate and unconditional release of Houtan Kian and an official halt to Sakineh Mohammadi Ashtiani’s execution sentence. 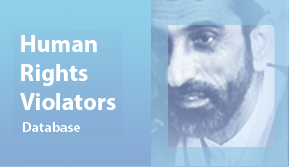 JFI urges the international community to react to the abuses and injustices Mr. Kian and his client have endured by holding the responsible authorities, Judges Rahim Hamlbar and Kianoush Shokouh Tazeh accountable. Additionally, JFI urges the United Nations, specifically Special Rapporteurs, to act urgently to ensure that the torture against Mr. Kian and his client ends and their basic human rights are granted.